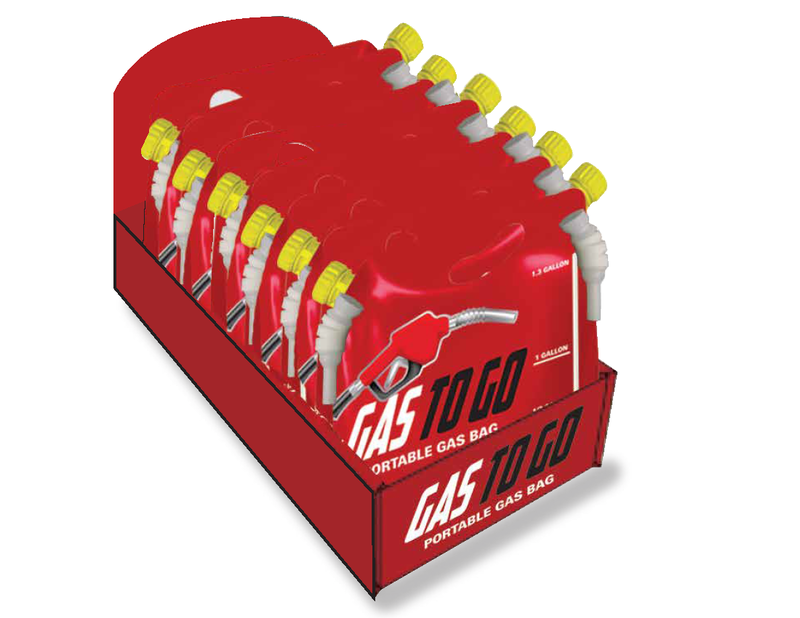 Provide customers with a quick and convenient way to get gas with our brand new Gas Buddy bag. It works just like a traditional gas can, but it's made as a high-quality bag allowing it to be shipped and stored flat - while also using less shelf space. It comes with a spout and a funnel, which are connected with a plastic tie for easier use. We can also fully customize it and add the logo of your choice!